At this moment, when Syria is under massive and unprecedented attack by various militias, armies and weapons that have an economic interest in the cycle of destruction and reconstruction, the continuous cycle of death has taken more than half a million innocent lives and displaced over 7 million owners of land; the country is bleeding, with over two million injured and disabled; it is demanding the release of over 220,000 tortured prisoners of conscience; it is suffering from a lost generation of 3 million students, 3.5 million people held in besieged areas and under food embargo, and 14 million internally displaced civilians in urgent need of humanitarian aid. 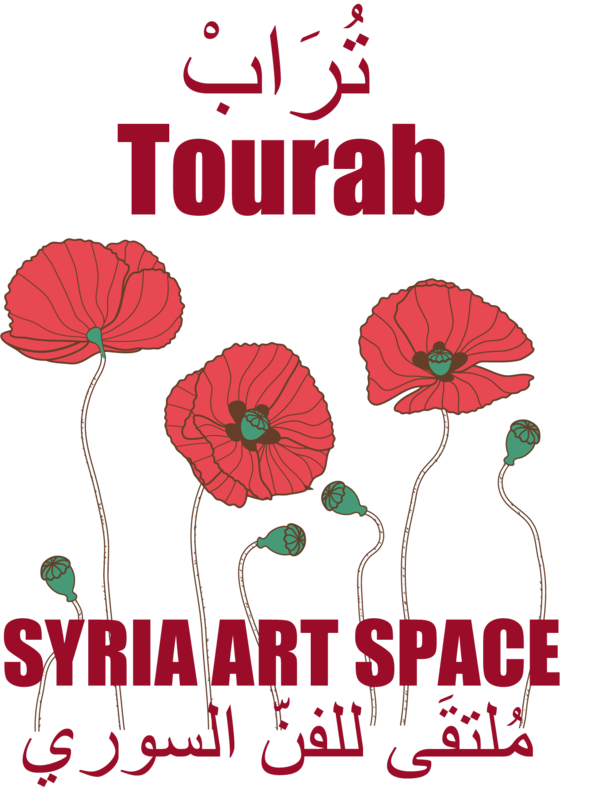 At this time TOURAB: Syria Art Space aspires to be relevant by embracing a new cultural narrative and stimulating a new interest in Syria based on the richness and diversity of its people’s cultures, on its creative industries, on the creative and transformative power of its people, on the originality of their unique heritage, on its knowledge economy, on the emancipation of its artists’ and creators’ new ideas, on the innovation unleashed by their revolution in aesthetics, images, sounds, symbols, physical expression, values and ideals that will constitute the basis for creating new jobs, on its fertile soils and its sustainable relationships with its neighbours and the world, based on shared wealth and a new and open culture. All these natural resources have more impact on the future of Syria, its wealth in the context of its region and the planet, than any other single raw material, even oil. The Goethe-Institut has invited curator Alma Salem to put together a programme with over 50 artists, thinkers and cultural leaders from Syria and Europe . TOURAB is a place for discovery and a platform for contemporary artistic positions: an exhibition, improvisations, debates, concerts, films, workshops and much more give the opportunity to reflect and discuss.